On Wednesday, March 23, Uftring Auto Group officially acquired Neil Norton Cadillac. The dealership has been merged with Jim McComb Chevrolet and the two are now known as Uftring Weston Chevrolet Cadillac. 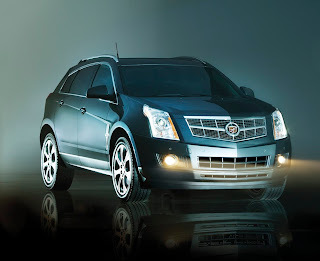 We are all very excited about the addition of the Cadillac brand to the Uftring Auto Group lineup and the value it will bring to you, our customer. Cadillac has some truly amazing and extraordinary cars on its roster that only serve to enhance and flesh out the offerings of the Auto Group as a whole. In addition, it's a great compliment to the Chevrolet brand and you should be served well with the ability to shop the two iconic American brands on one lot. It's our first American luxury brand, joining our import luxury offerings from Jaguar, Land Rover, Range Rover, and Saab. Our founder and president, Gary Uftring, is proud to offer the Cadillac brand to Uftring customers. This fulfills a personal dream of his to have the ability for Uftring Auto Group customers to purchase a new Cadillac from an Uftring dealership. This is a joint venture between Gary Uftring and the CEO of the Uftring Auto Group, Mark Weston. This week through Thursday, March 31st, we're holding a huge sale at the former Neil Norton Cadillac and Jim McComb Chevrolet locations. We have to reduce our inventory in order to fit it all at the former Jim McComb lots. At the close of this week and the beginning of April, all of the Cadillac inventory will be moved to the two former Jim McComb Chevrolet locations at the corner of War Memorial and University in Peoria. You can continue to visit this location for all of your sales, service, parts and body shop needs. In the meantime, the former Neil Norton location will undergo an extensive renovation to the building and lot. Upon completion this fall, it will be the brand new location of Uftring Weston. Expect an exceptional and beautiful world class facility fit for the 21st century. You can expect the same great service, value, and integrity you've come to expect from Jim McComb, only now with a gorgeous new building that will streamline and enhance your experience. Look for more news on this blog and our Facebook and Twitter accounts soon!